After four months of using a cintiq at my Blue Sky internship, coming home to my Intuos 4 held together with electrical tape and a prayer was a nightmare. The disconnect between the tablet and my laptop was huge and it slowed down my boarding substantially. 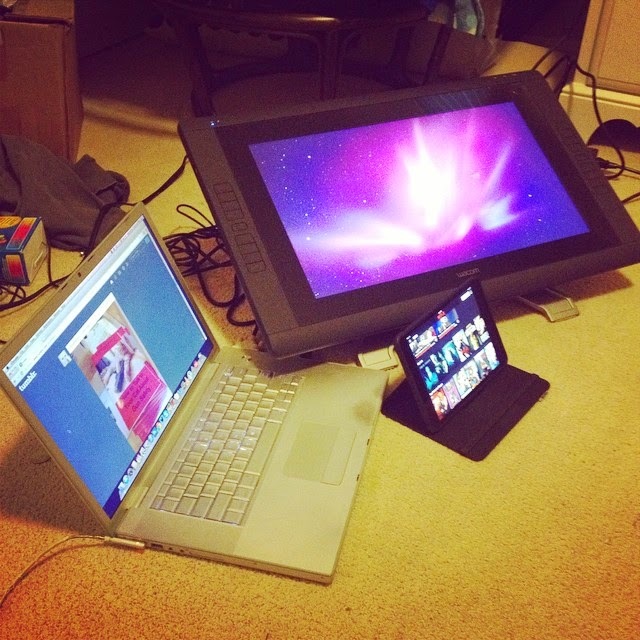 So for Christmas my parents and I went splitzies on a a 22HD Cintiq and it's...it's so beautiful. I haven't upgraded my laptop or tablet in like eight years, this is so amazing. Now all I need is to get my desk out of storage!